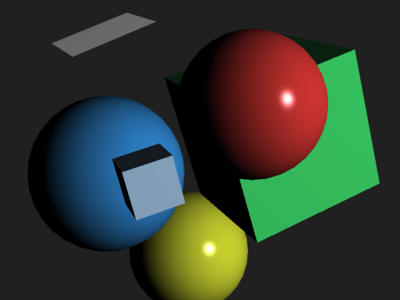 Usage of multiple framebuffer attachments to implement object picking. One attachment is used for color output, the other contains object IDs. The color buffer is blit to window framebuffer, a pixel from the other is read after mouse click to retrieve object ID. Use mouse drag to rotate the scene, mouse click to highlight particular object.